For our second-annual IHadCancer Blog Awards, we called on the IHC community to share your favorite cancer-related blogs. We were overwhelmed by both the quantity and quality of the submissions we received. It was amazing to see the diversity of voices that helped you all on your cancer journeys, and it affirmed for us why storytelling is so, so important to begin with. Sharing stories makes us realize we truly aren't alone, that everyone has one worth telling, and that every story is different. Please note that winners were selected based on content quality, creativity, consistency, frequency and positive feedback from readers. Even if your blog was not selected, please know that we ready every single blog, and judging was very difficult. You should be very proud of your blog and we hope you'll submit next year, too! We have been following Meghan's journey ever since we were introduced to this video of her shaving her head pre-chemo, marking the beginning of her battle with breast cancer. 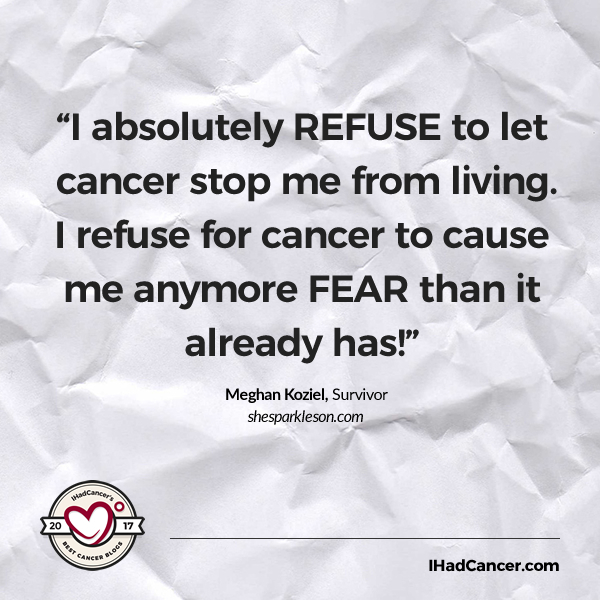 Meghan was diagnosed at 26 years old, and stands a strong young adult survivor today. She explores all the ways she has changed since her initial diagnosis, referring back to her "young, naive interpretation of this disease" - to not being "taken seriously initially" because of her young age when she felt her first lump. Her passion for advocating for other young adult fighters and survivors, and empowering them, shines through on her blog. Runner Up: Happy Smiling Cancer Girl by Amanda, stage 3 squamous cell vaginal cancer fighter. "Bummer Alert: My husband and I both have cancer." Author Liz is no stranger to telling it how it is. 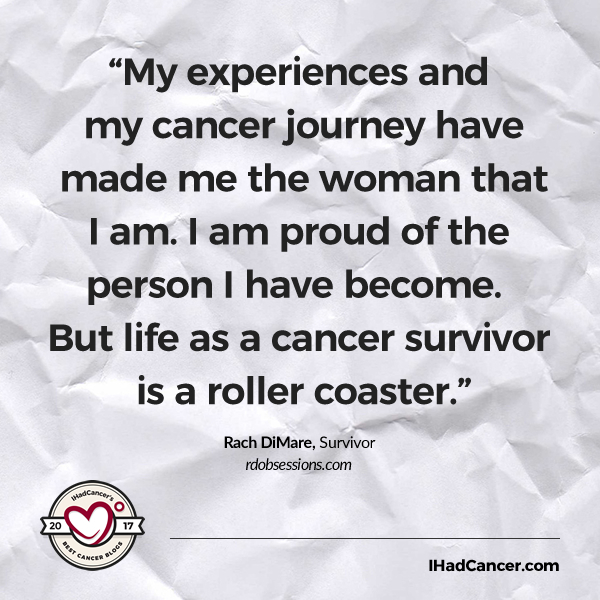 Even though her blog centers around her and her husband's fight with cancer (both of whom were diagnosed beforey the age of 30), she makes it very clear that their story isn't just about cancer. With this particular point of view and family dynamic comes with lots of valuable stories shared. We love how blunt, honest, and well-written the posts on this recently- started blog are, and look forward to continue following Paul and Liz's journey. 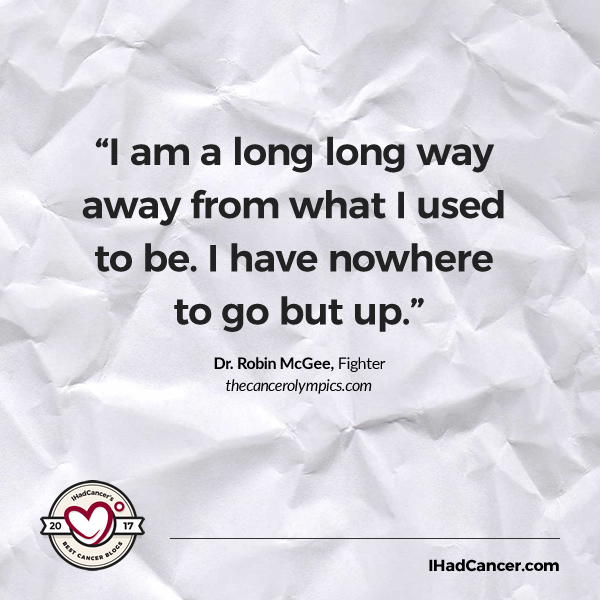 Robin authored The Cancer Olympics, an account on her story with late-stage colorectal cancer, and started her personal blog shortly after her book's publishing. What is special about Robin's blog is that she pairs each post with a song, including its lyrics, to illustrate a specific feeling, experience, thought, or stage in her fight. From linking classics like The Beatles' "With a Little Help From My Friends" with cancer coping, to pop rock band Coldplay's "Clocks" with learning of her own recurrence, she has proven that there is a healing benefit to expressing yourself through creativity. Utilizing music, specifically, is a powerful way of communicating things that otherwise can feel indescribable. When there are no words, music speaks for us, and when times look grim, or bright- music is there to lift us up every step of the way. 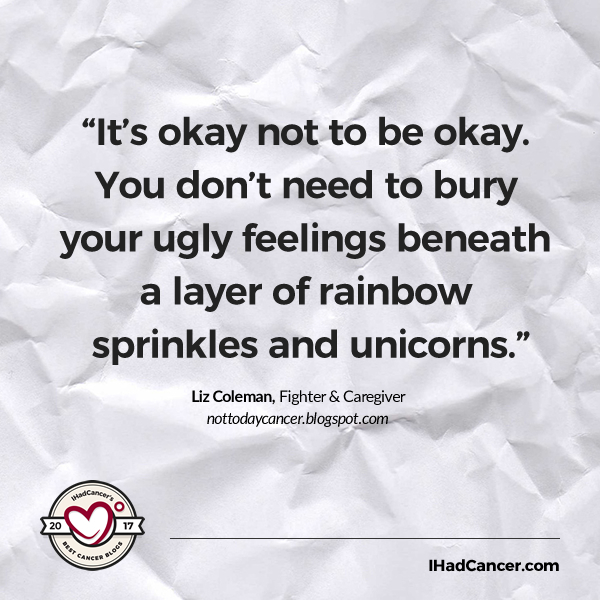 Read This Post: Preparing for cancer surgery and Stellar Kart's "Nowhere to go but up." Rachel is a young breast cancer survivor and lifestyle blogger sharing everything from beauty and fashion tips, to travel guides, insights on self confidence after a cancer diagnosis and more. Rachel has been passionate about creating outfits since childhood, and when she was diagnosed with cancer, , knew she had to continue that passion and kept up with her fashion blogging. In her own words on all that blogging has done for her, "It was hard to motivate me to get out of the house... But what motivated me was that I needed content to post. So I would get ready: put on my makeup, create outfits, and went out and took photos. Each time I prepared for a photoshoot, I noticed I felt better. My nausea would slightly go away and I was able to ignore the body aches." Cassidy was first diagnosed with acute myeloid leukemia at 29 weeks pregnant with her son. 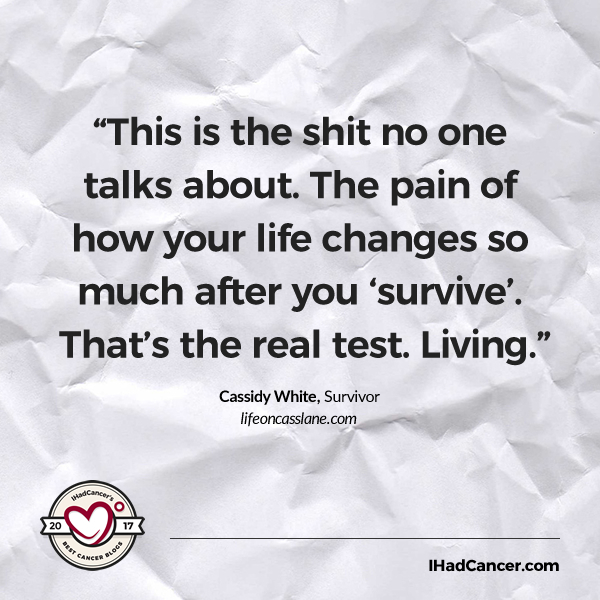 Having just celebrated her 3-year cancerversary in November of 2017, Cassidy blogs about her life as a parent, as well as a survivor uncovering realities of her past and making sense of her new normal after cancer. Stephanie was diagnosed with metastatic breast cancer at 31 - only to discover she was misdiagnosed and put on the wrong treatments for years. In her most recent blog, she talks about post-cancer stress and the importance of self care during sickness. 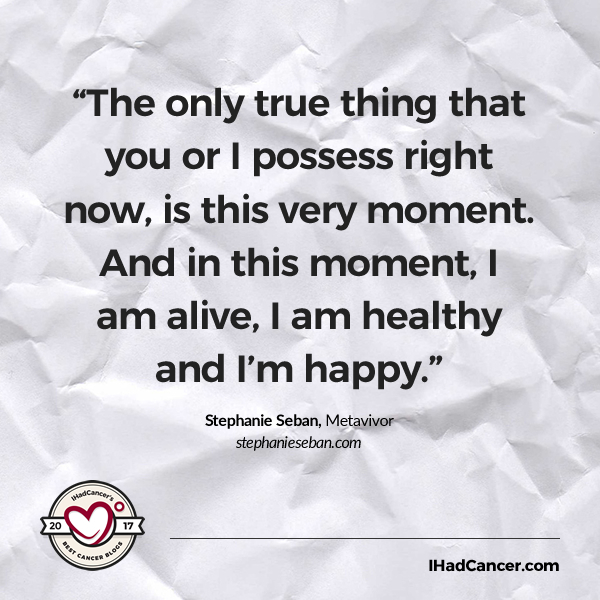 Stephanie's story has been featured on Huffington Post as well as on the TED stage at her own TEDx talk, and she has played an active role in the metastatic cancer community. 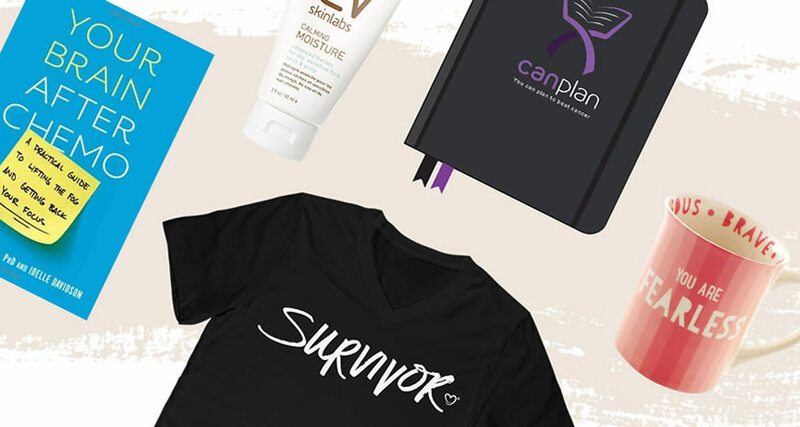 She also launched her own lifestyle brand for fellow cancer thrivers. We found ourselves laughing out loud at more than just one of Justin's posts on his blog, "A Ballsy Sense of Tumor", where utilizes humor as a key tactic for promoting conversations about men's health- and testicular cancer in particular- in everyday life. Raising awareness starts by uncovering and addressing what makes it so difficult or uncommon to talk about in the first place. His blog tackles this, and provides readers with the tools they need to become advocates for men's health, as well as their own. 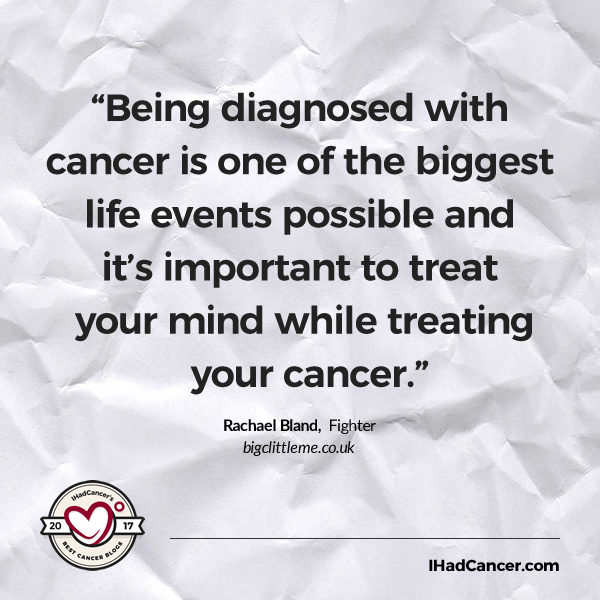 Rachael Bland, Fighting Primary triple-negative breast cancer which spread to lymph nodes. From anxiety, scanxiety, secondary cancers, first experiences with radiotherapy, to everything in between - including motherhood - Big C. Little Me. showcases the story of Rachael's physical and mental fight with cancer. She also has an extensive Vlog section where you can watch her talk about her experiences first-hand. Her latest blog explores how cancer treatment is affecting her fertility and her plans to grow her own family. Julieann's husband, Ken, was diagnosed with mesenchymal chondrosarcoma in early 2016. 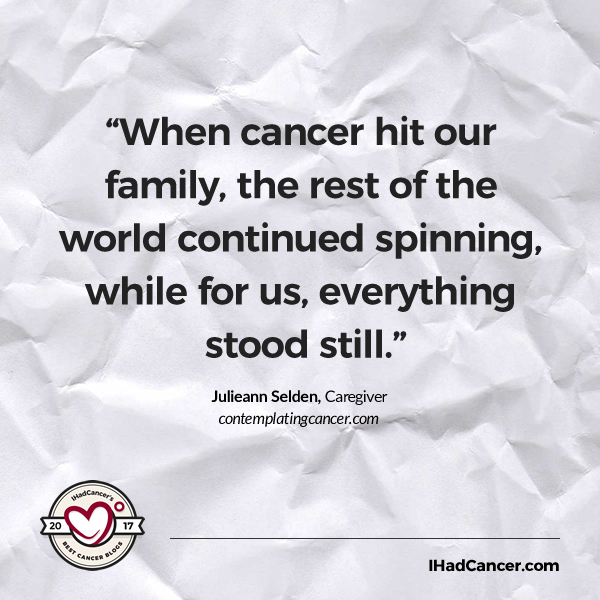 As his primary caregiver, Julieann started blogging as a creative outlet for herself, as well as a means to connect with other families fighting cancer across the world, which she reveals has been the "most rewarding part" of their experience. Nominations for 2018 will open in November. Make sure to sign up for our mailing list to be alerted.